Whatever the need, the free Proof of Employment Letter template is the perfect way to show an employer that you have proof of employment. You may need a strong job reference or proof that you have a job so you can get that new home. 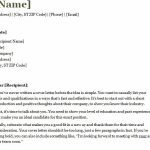 You will receive a simple letter template that lists out all the information you need to include. You can go through the document and enter the information that is bracketed. This template will save you time and energy. All that’s left to do is print and use the document in any way you see fit. Try it today by reading the instructions provided below. To download the template file to your computer, just follow the link at the bottom of this page. 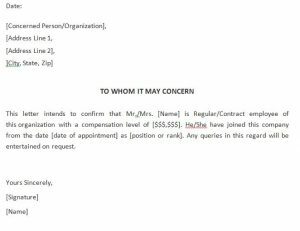 Once you have the document, start by entering the correct information in the contact info section above. You will enter the date, the organization, address, and state information of the company that you want to address. 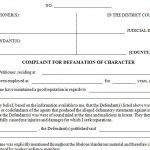 You may then change the title of the document to the name of a specific organization or person. Next, go through the small paragraph and change the information that applies to you. 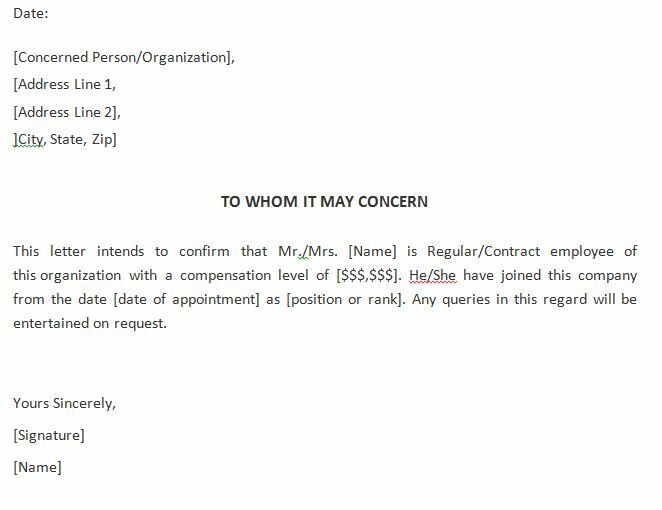 For example “Name” would be changed to the name of the employee, which is either you or someone in your employ. 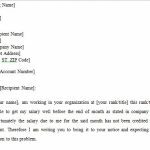 Similarly, you will go through and change the salary information, start date, position/ title, and finally a signature below. You can choose to print then sign the letter yourself (recommended) or you can enter your name with the computer. To print the sheet, scroll to the top of the page and select “File” then choose “Print” from the list of options. Now you can provide proof of employment for either you or your employees.